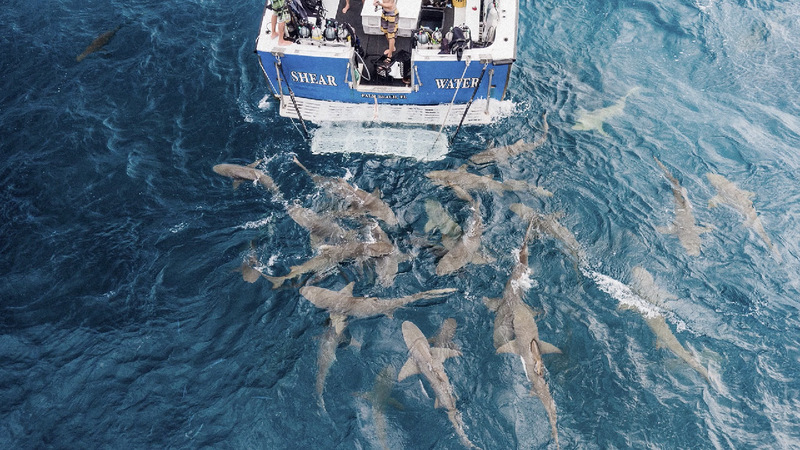 In 2016, Untitled Film Works travelled to the Bahamas with Eric Cheng to join Jim Abernethy on a mission to create evocative content demonstrating that sharks aren’t mindless man-eating monsters. 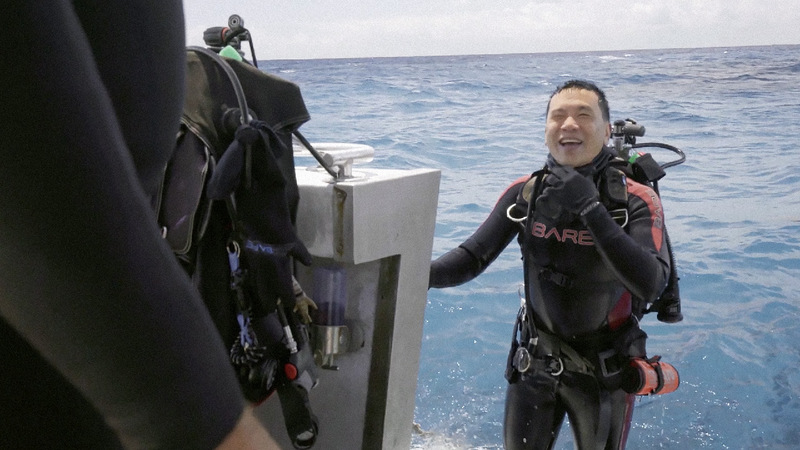 Eric Cheng’s love of the ocean has taken him all over the world. 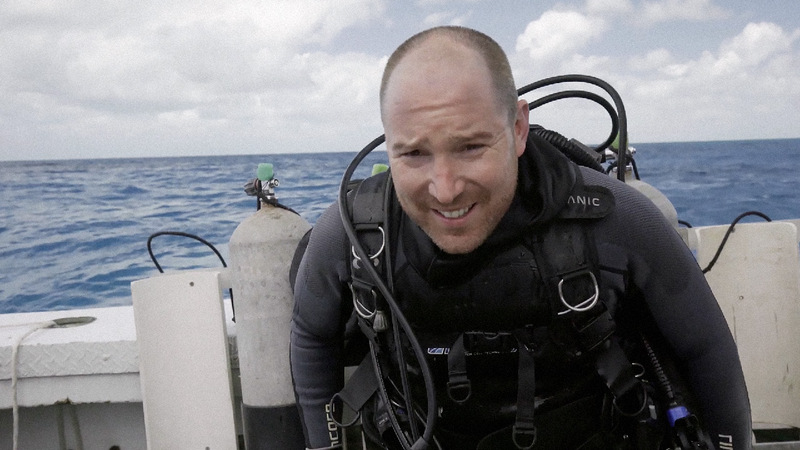 During the past 15 years he has dived and documented many of the planets most magnificent and mysterious marine organisms. 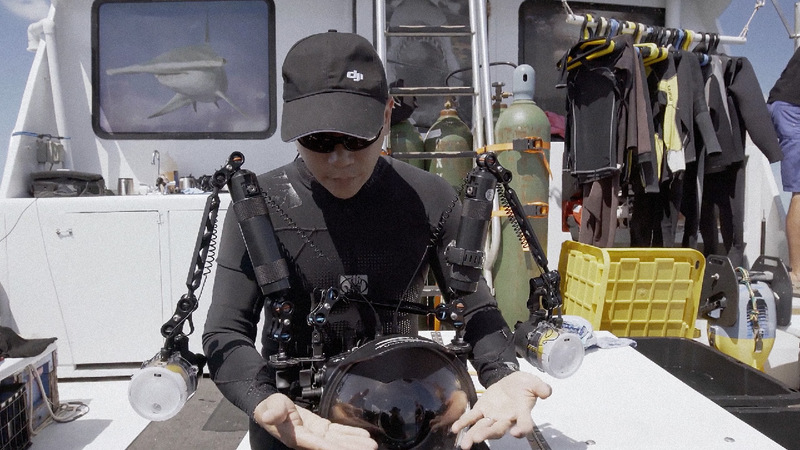 Like many of his peers, his objective has evolved from not just enjoying the wonder of the deep but to actively do his part in sharing and protecting the oceans and its life forms. With many of the more approachable species enjoying relative protection, Eric has turned his sights to the the animals that through mythology and popular culture have been misrepresented even demonised. 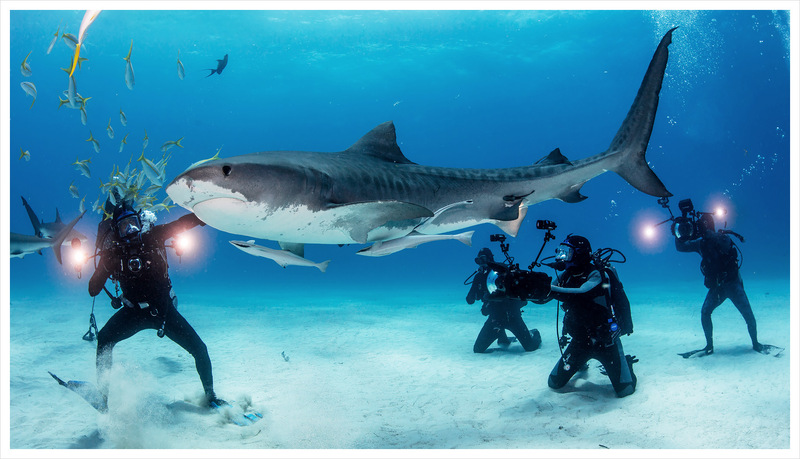 His mission is to use his photography to tell the true story of these animals before its too late. 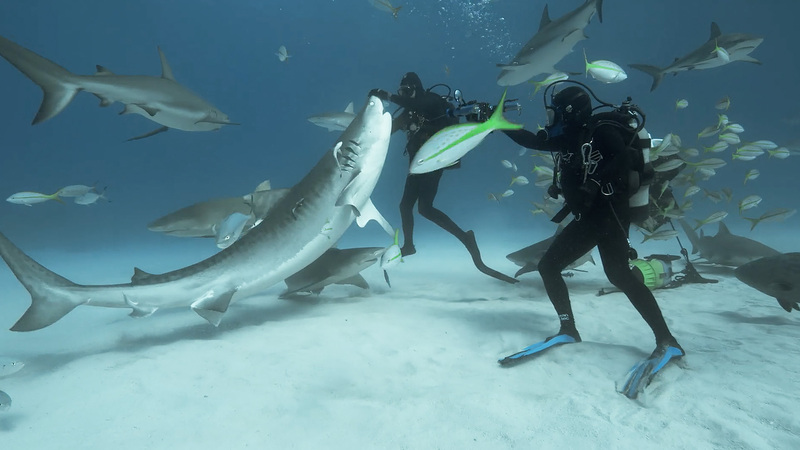 The most unbelievable moments of Tales By Light 2 occurred in the Bahamas, watching Jim Abernethy interact with his beloved sharks. 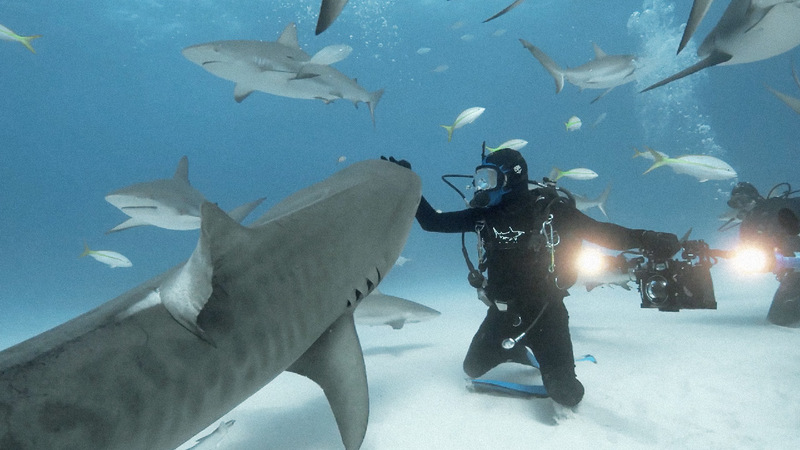 His connection with these stunning marine animals is quite overwhelming. 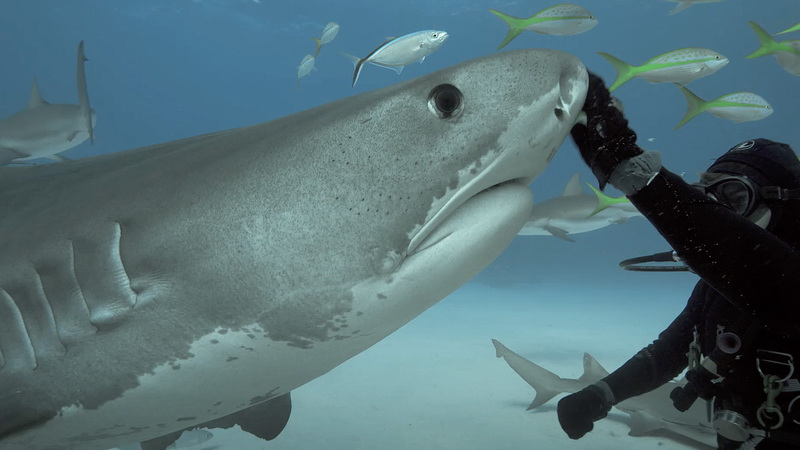 I have never met a person more in tune with the underwater world than Jim. 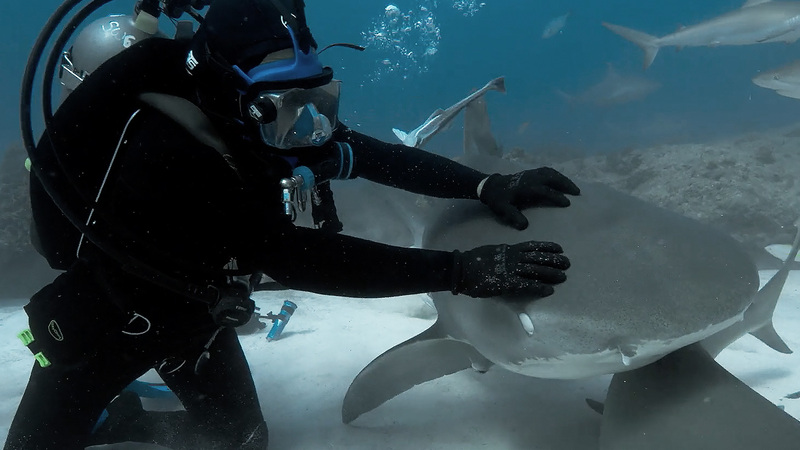 Having removed almost 100 hooks from the mouths of sharks, he has formed a special bond with many of the sharks that he now knows as individuals. They will recognise and come to Jim, even if he changes wetsuits. I’ve never heard or seen anything like it. 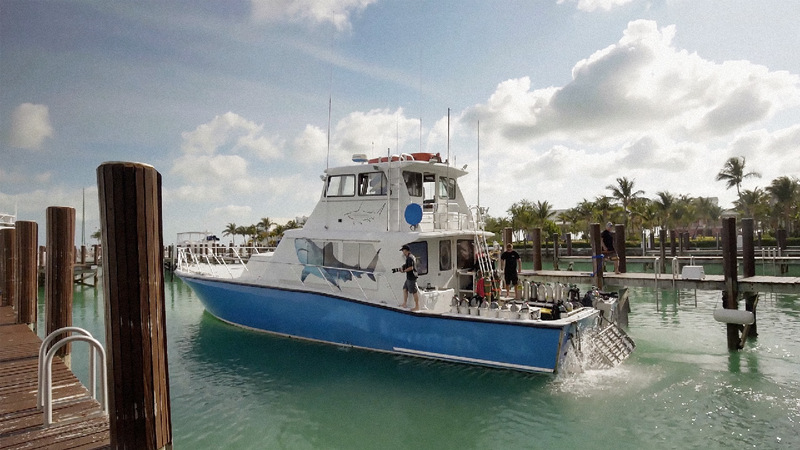 The Bahamas is an archipelagic state and consists of more than 700 islands, cays, and islets in the Atlantic Ocean, of which only between 30 and 40 are inhabited. 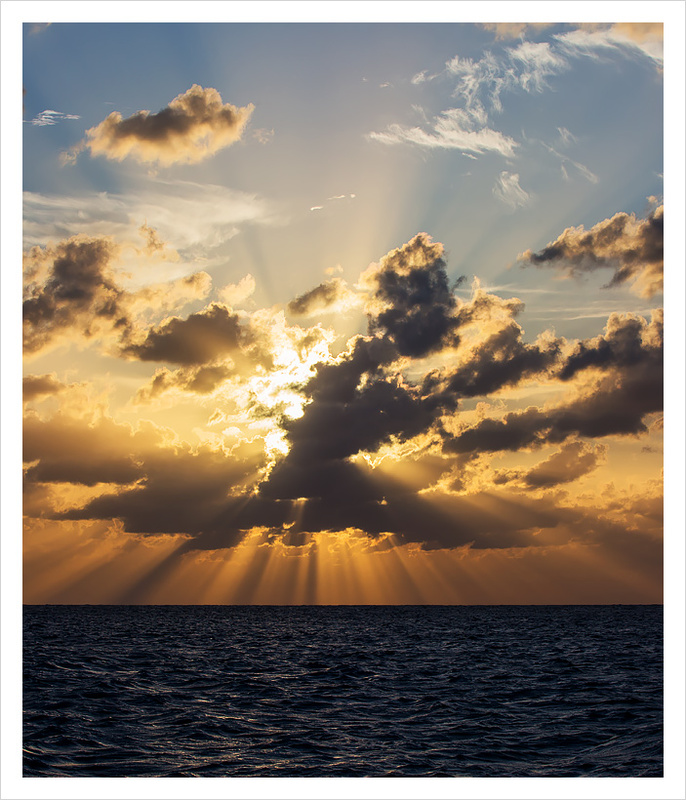 Situated just north of Cuba, the Bahamas is the site of Columbus’ first landfall in the New World in 1492. At that time, the islands were inhabited by the Lucayan, a branch of the Arawakan-speaking Taino people. 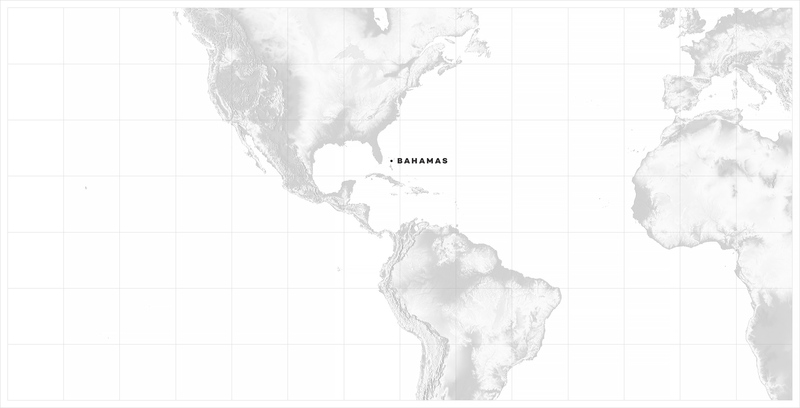 The climate of the Bahamas is tropical savannah climate Tropical storms and hurricanes can on occasion impact the Bahamas. 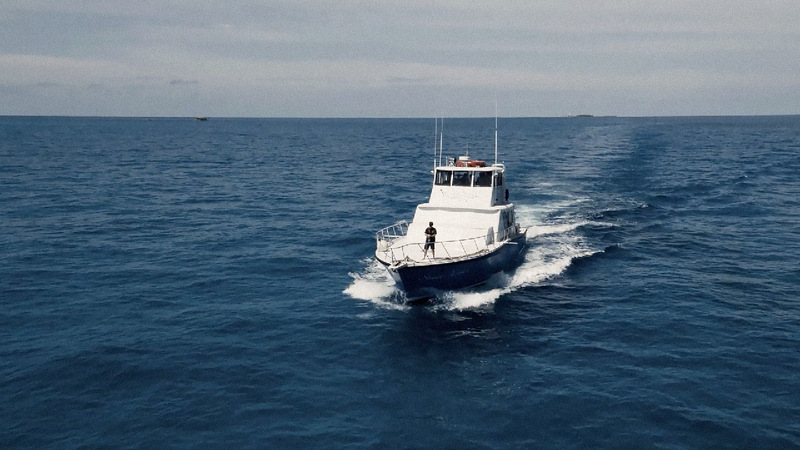 While shooting this episode we did everything we could to reduce the risk from the sharks, we didn’t find ourselves in any real sense of danger while shooting the film. 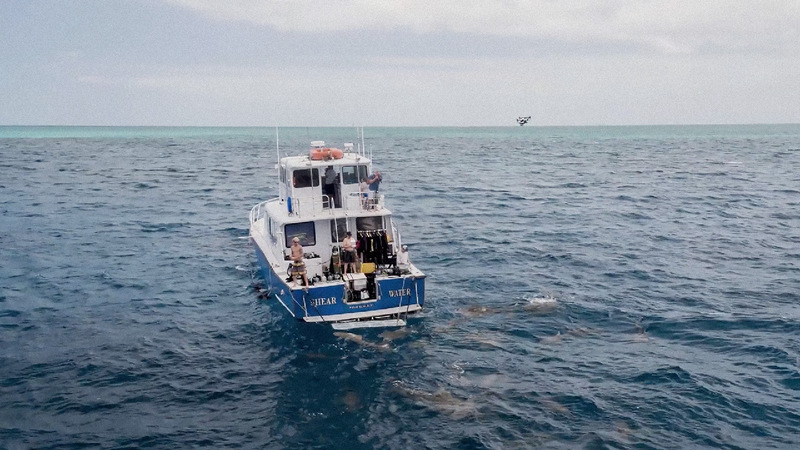 Of course, your senses are heightened when in the domain of the Bull Sharks and Tiger Sharks and it was probably the most spatially aware we’ve felt under the water. 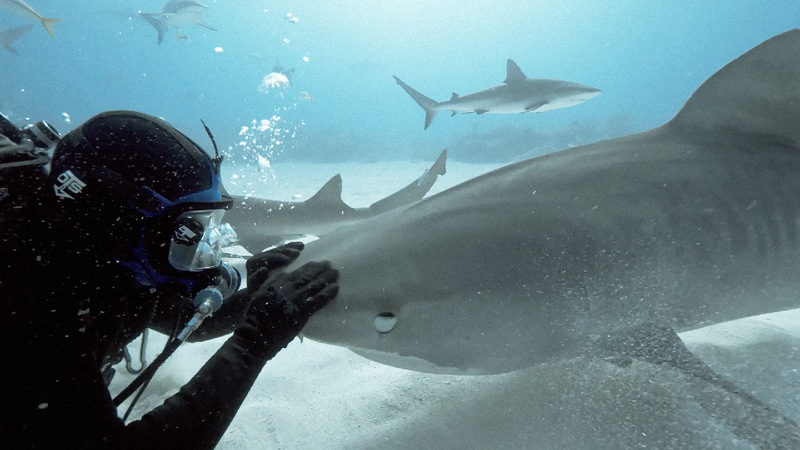 You feel yourself growing eyes on the back of your head while in the presence of these beautiful animals. 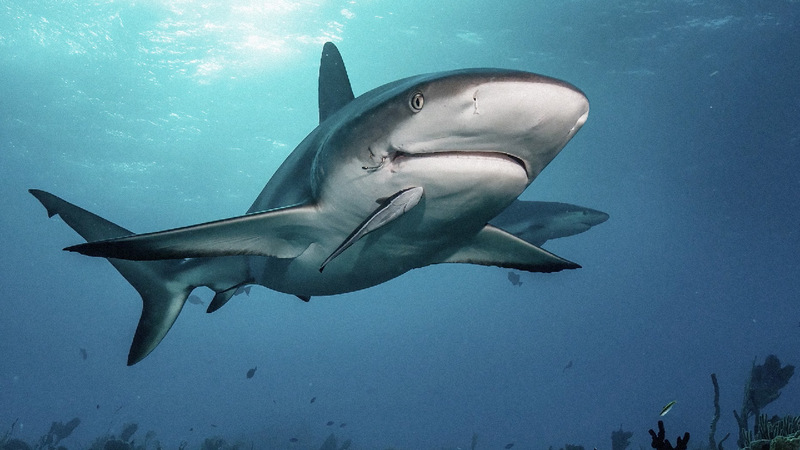 The risk is taking your eyes off these animals and potentially having one take an investigative bite at part of your body. 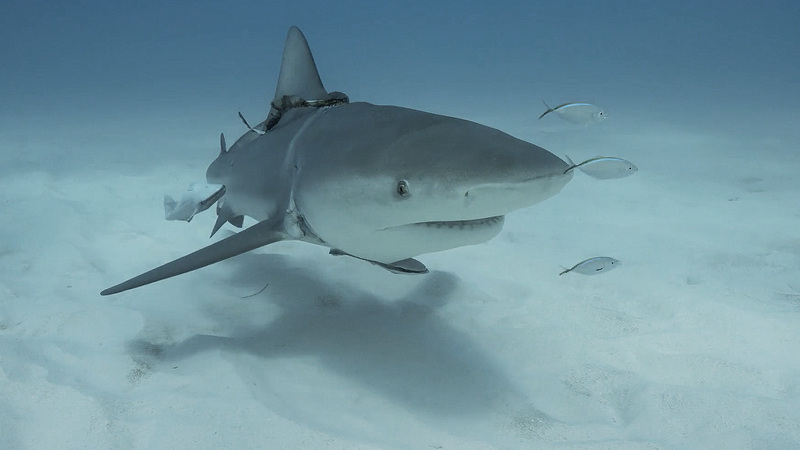 We are not natural prey for these animals, but they can be curious, and bull sharks can be notoriously inquisitive. Picking the right season is crucial for many migratory species of animals. 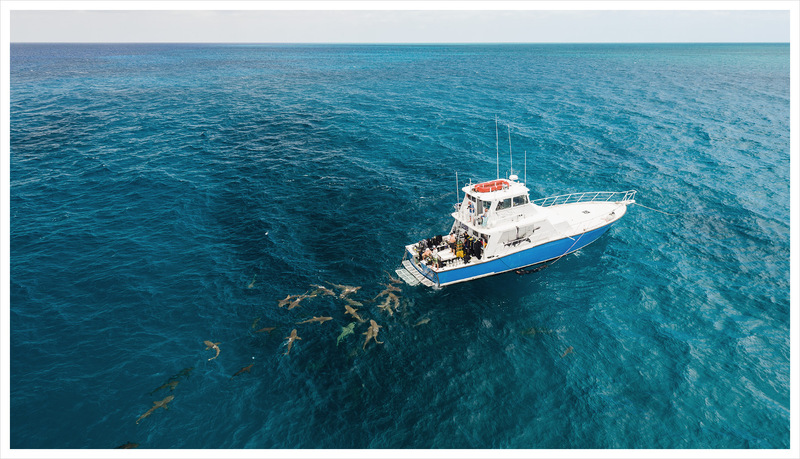 Weather also plays a part; the oceans, the currents, water visibility, precipitation and wind are all elements that will either impede of aid your hunt for sightings. 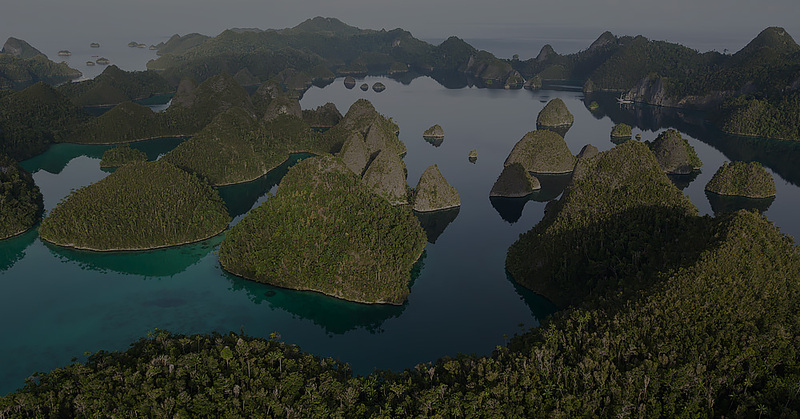 With any expeditions to remote places, local knowledge and support is vital. We are often working under tight time pressures, which doesn’t give you the flexibility to chew up days working-it-out on the ground. Before any trip even begins, we start by researching the best operators in a given area. Our first questions relate to timing. 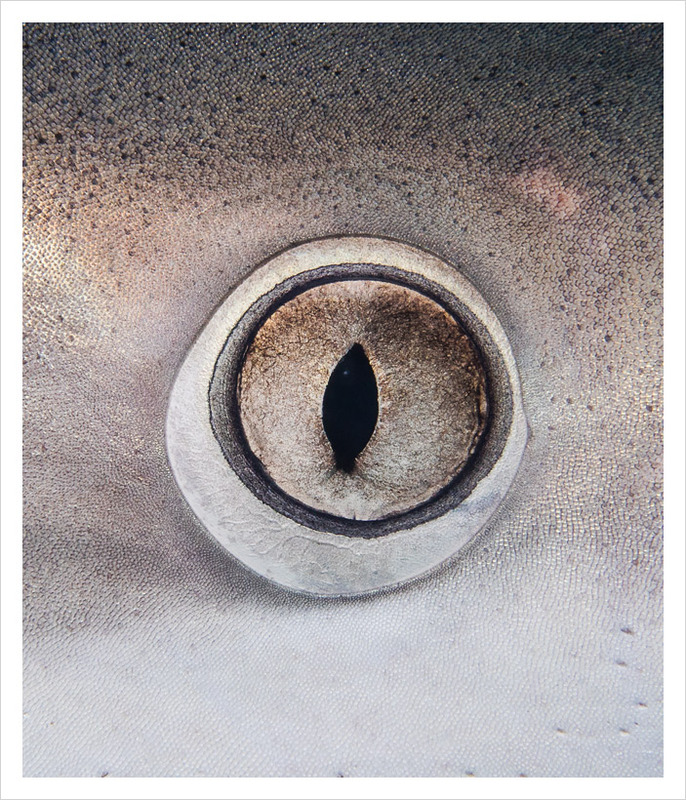 Sharks have a mirror-like layer in the back of the eye called which protects their eyes from thrashing prey. 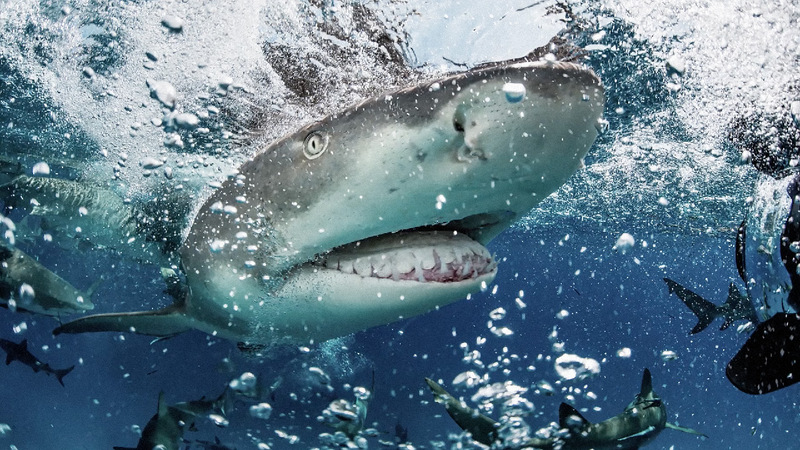 Some sharks, like the tiger shark, cover their eyes with a nictitating membrane, while others, like the great white shark, roll their eyes back into the sockets. 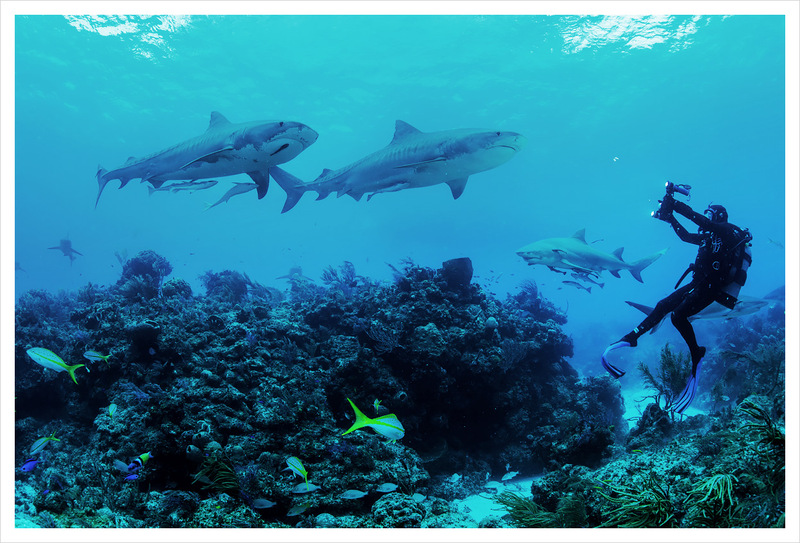 The dynamic movement scuba gives you can be incredibly freeing. 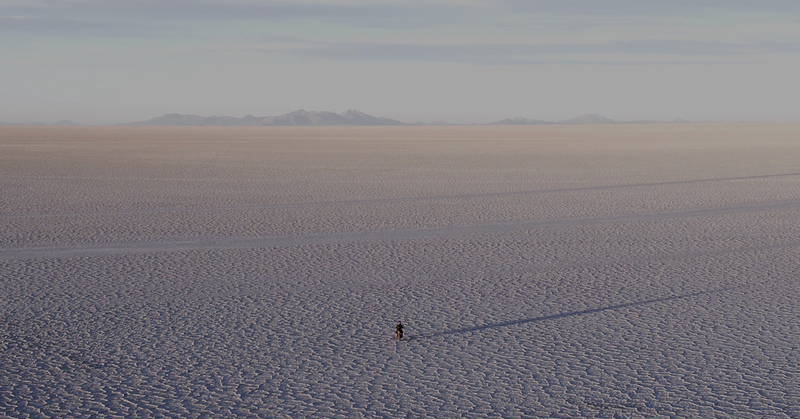 With camera in hand, you effectively become your own dolly track, jib, or drone. 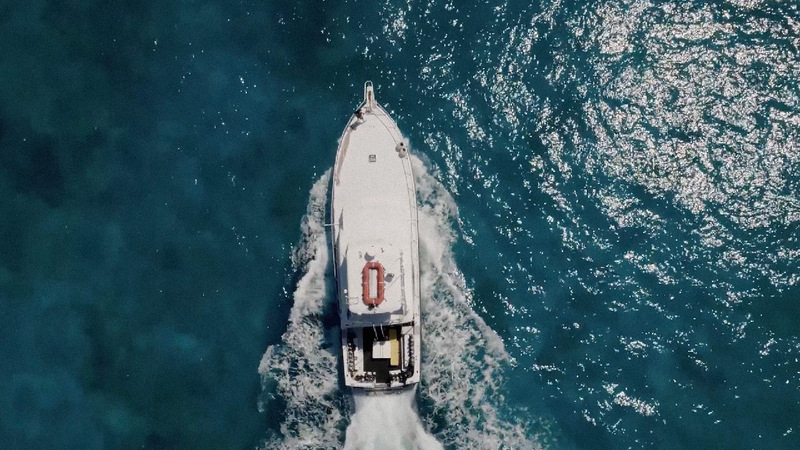 You can swim around subjects with the smoothness a dolly, rise above a scene and give a bird’s eye perspective, or perform slow push-ins or outs which all add drama to the capture.